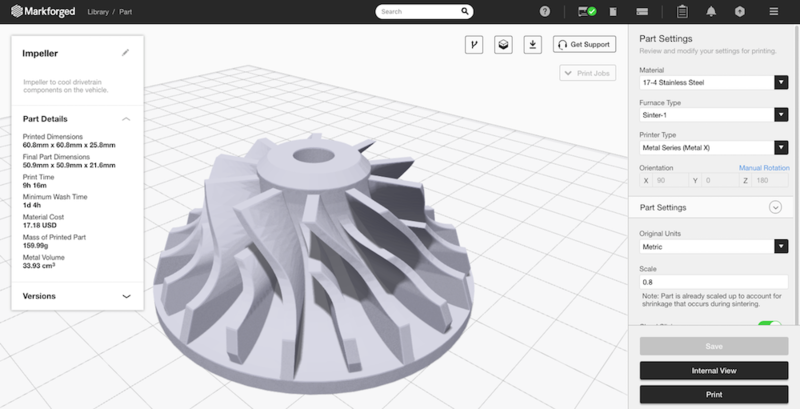 Markforged 3D printing software makes using our advanced 3D printers easy. At the organization level, cloud-based printing expedites workflows and gives teams a view of the entire network of printers through a single interface. At the part level, with selective continuous fiber reinforcement and intelligent slicing capabilities, you can achieve incredible precision and surface finish in both high-strength composite and metal parts. Sign up for Eiger beforehand to follow along with the live walkthrough.